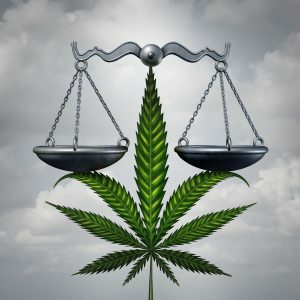 The Key West criminal defense attorneys at Robertson & Hunter posted a blog entry on March 5th, 2019 referencing distinctions in the law between marijuana oils/edibles and smokable marijuana. Within that blog post, we referenced that, at the time, even those that were approved for the medical use of marijuana were still prohibited by law from possessing the flower form of the marijuana plant. This was because the smoking of the flower form of the plant was prohibited by law even if you were prescribed medical marijuana. The Key West criminal defense attorneys at Robertson & Hunter noted that the legislature appeared on track to remove the prohibition on the smoking of medical marijuana for medical marijuana patients in Florida. That has now been done. Senate Bill 182 was passed on March 18, 2019. This bill removed the prohibition on possessing the smokable flower form of the plant and permitted the smoking of the flower marijuana for medical marijuana patients. The prohibition on smoking medical marijuana in Florida found in Florida Statute 381.986(1)(j)(2) has now been eliminated. The legislature also modified the definition of “marijuana delivery device” found in section (1)(g) of the statute, such that devices designed specifically for smoking medical marijuana need not be purchased from a licensed dispensary. The bill also imposes some new requirements upon physicians prescribing smokable marijuana. Physicians prescribing smokable marijuana must inform the patient of the negative health risks associated with smoking marijuana. This means that if you are a medical marijuana patient currently, you are not automatically permitted to purchased smokable marijuana from a dispensary. You must first meet with your physician, such that your physician can comply with this legal requirement. Your physician then must submit documentation confirming that it is his or her medical opinion that smokable marijuana is an appropriate form of the medicine for you. Note that possession of marijuana remains illegal under current federal law. Additionally, possession of any form of marijuana without a prescription remains illegal in the State of Florida pursuant to Florida Statute 893.13.